Knuckling down and figuring out what you’re going to do for the rest of your life can be a pretty daunting experience. To help ease the transition, we’ve put together a guide to some of the best creative courses on offer around the country. What you’ll learn: Students can specialise in either Fashion Design, Interior Design or Creative Direction and Styling. Skills you’ll gain: Skills in design methods for fashion, photography, styling, digital production, illustration and visual communication, creative direction and patternmaking and garment construction. What sets them apart: With 30 years in design education, Whitehouse’s connections in the industry are what sets this school apart from the rest. Whitehouse students indulge in a guest lecture program, workshops, on-set photo shoots and assessment panels with some of the world’s most influential industry creatives. Job prospects: Whitehouse alumni are storming the industry as international fashion designers showing at Paris Haute Couture Fashion Week, to Creative Directors of global fashion houses. What you’ll learn: How to plan, launch and grow a fashion business via video-guided mentorship, group coaching calls and real-time support. The course contains 10 online modules covering a range of areas from business planning, funding, branding, product development, sourcing, sales, marketing and more. Skills you’ll gain: An understanding of the fashion industry and key steps to running a fashion business. You’ll also gain access to the industry networks required to launch and grow your business. What sets them apart: Fashion Equipped allows you to learn at your own pace, straight from your laptop. The course allows those who are serious about starting a business to connect with industry professionals, who provide advice on planning, launching and growing a fashion business. Job prospects: Start your own fashion business. What you’ll learn: The fundamental skills of working in a professional photographic studio, as well as how to conduct a high fashion photoshoot, from initial planning stages to final execution. Skills you’ll gain: While working as part of a team of professionals, you’ll learn all the elements that must come together for a fashion photoshoot to be successful. This includes how to work in a professional photography studio, lighting techniques to create strong photographic images and how to give clear direction to a team. What sets them apart: Fashion photography is about exploring and pushing boundaries. The Fashion Photography School allows students to observe, analyse, formulate and participate in real fashion photo shoots. Job prospects: Fashion photographer, photographic studio photographer, portrait photographer. What you’ll learn: The physical and mental tools required to succeed and excel in the competitive modelling industry. Skills you’ll gain: Advanced modelling skills for runway and editorial, as well as essential business, networking and strategic marketing efficiency to build your modelling brand and launch your career. What sets them apart: A wholistic approach to training to develop not only modelling techniques, but boost self-confidence and acquire entrepreneurial leadership. The team consists of international professionals who are still active in the industry and therefore teach current content. The course is extremely practical and inclusive of various diverse photoshoots, allowing students to graduate with an on-trend portfolio, ready to take on the industry. Job prospects: The Academy personally applies to all the top modelling agencies on behalf of graduates, as well as providing valuable industry contacts and opportunities. What you’ll learn: Applied design processes from idea generation to creation of mood boards, as well as addressing design briefs and trend forecasting. You’ll also gain an understanding of commercial manufacturing, logistics and distribution, supported by an insight into the power of marketing and the importance of branding. 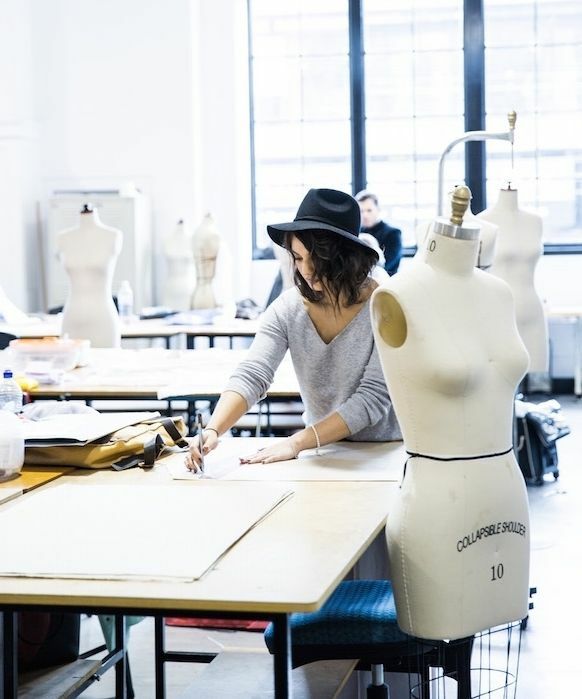 Skills you’ll gain: In the fashion program, you’ll learn a range of skills from garment construction, fashion marketing and branding skills and project management. The interior design program covers style and trend forecasting, client management, computer-aided design (CAD), 3D design drawing and more. What sets them apart: The Bachelor of Design Arts is one of only two undergraduate degrees in Design Arts available in Australia, and the only degree off ered in Victoria. A brand new campus is also opening in Collingwood, Melbourne in January 2018. Job prospects: Fashion designer, fashion marketer, costume designer, stylist, visual merchandiser, trend forecaster, fashion buyer, interior designer, set designer. 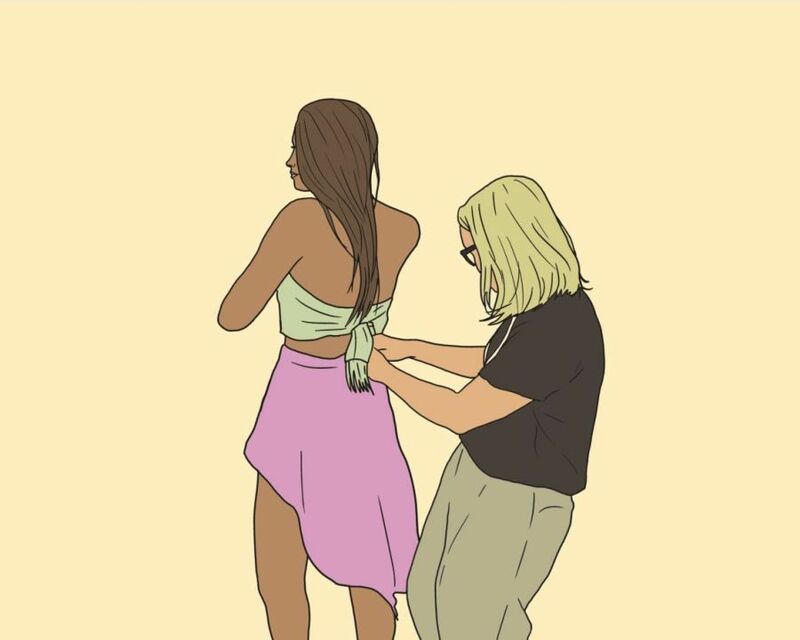 What you’ll learn: In the diploma, students will develop a range of skills covering simple garment development and aesthetic presentation, efficiency and comfort of garments, the principles of environmental sustainability and more. Skills you’ll gain: Virtu is committed to building each student’s conceptual design skills as well as the practical production skills required to be a successful fashion designer and merchandiser in the Australian and international fashion industries. What sets them apart: All Virtu courses are nationally recognised. The qualifications you will receive are within the Australian Qualifications Framework and recognised internationally for work or further study. Virtu’s courses are 100 per cent online and are taught by experienced and committed design practitioners. Job prospects: Fashion designer, fashion merchandiser, stylist, brand manager, colour consultant or retail buyer. Duration: From two-hour workshops, to six-month courses, up to a three-year Bachelor degree. What you’ll learn: The Institute’s integrated nature means that you’ll constantly be exposed to adjacent creative fields, allowing you to build knowledge instinctively as you move from class to class. Skills you’ll gain: All courses focus on providing industry-relevant skill sets that employers desperately need. Coupled with the Institute’s commitment to collaboration, students emerge as well-rounded individuals with a cohesive understanding of how all creative industries work together. What sets them apart: The Institute is based on the philosophy that no creative stands alone. Whether you’re a fashion designer, marketer or hair stylist, you’re constantly required to work with others in a collaborative environment. Job prospects: Designer, buyer, marketer, stylist, trend forecaster, visual merchandiser and more. What you’ll learn: Shillington creates a fast-paced and inspirational learning environment where students with no prior experience can gain real and relevant design skills including theory, typography, packaging, mobile app design and user experience (UX) from practicing designers. Skills you’ll gain: You’ll graduate with a solid understanding of design theory and software, and an incredible design portfolio – essential skills for any creative career. The college moves fast and mentors students to work like professional designers, following clear processes and meeting tight deadlines. What sets them apart: The innovative approach to design education means students achieve amazing results in a short amount of time. Job prospects: Graphic designer, visual designer, UX/UI designer, art director, strategist, freelancer and more. What you’ll learn: Work-Shop offers an extremely diverse range of short courses in arts, craft , food, music and more. It currently hosts over 1000+ classes from 3D printing to copywriting, finger painting and crochet. Skills you’ll gain: A huge range of life skills from cooking and creating to presenting and achieving. The dynamic nature of the classes allows you to learn a new skill every day. What sets them apart: Community values lie at the heart of Work-Shop. It collaborates with local artists and industry experts to teach classes and run unique events, connecting like-minded individuals in a safe and welcoming environment all across Australia. Job prospects: Ranging from designer, writer, painter, photographer, street artist or anyone wanting more creativity in their lives. What you’ll learn: Specific skills, processes and strategies actually used in the industry, plus tips and advice from experienced fashion professionals. In the Launch Your Fashion Label course, students will access video interviews packed with advice and start-up strategies from founders of Stylerunner, Fashion Palette, Embody Denim, Dead Studios, White Runway, Something Nice boutique and Alice in La-La (to name a few). Skills you’ll gain: How to launch, grow, sell and present your fashion label in a professional and memorable way so you can stand out in a crowded marketplace. What sets them apart: Courses are created by experienced professionals like production manager Natasa Grbic-Pitra, fashion photographer Amy Hibbard and Vanja Stace who teaches branding/marketing/sales. Job prospects: A career in fashion marketing, production, photography or sales.